I am a sports business and development specialist with extensive experience managing, developing, administering and following sports in Asia and across the globe. Currently, I work for a global sports data and digital content provider. It is safe to say I have been around the block. I was born in Indonesia, have Nepali lineage, grew up in Laos, Haiti and the USA, studied in Thailand, England, Italy and Switzerland, and worked in Malaysia, India and Singapore. Previously, I was the VP/Club Director at Machhindra Football Club and co-founded a mobile app startup. Before that I worked as a Development Officer at the Asian Football Confederation where I coordinated development projects in Bahrain, India, Iran, Oman, Philippines and Saipan. My specialization was in club development and marketing. Through the years I have been privileged to work on many exciting sports projects. My master’s thesis on attracting ethnic minority fans to soccer matches was distributed to all clubs in the English Football League. I travelled to Iran on my American passport and conducted several marketing workshops for football clubs there. I also developed the brand concept and logo design for 2002 FIFA World Cup winner Roque Júnior’s soccer academy, FC Primeira Camisa of São Paulo state, Brazil. In 2013 I was selected to be on the jury of the FIFA Ballon d'Or award. 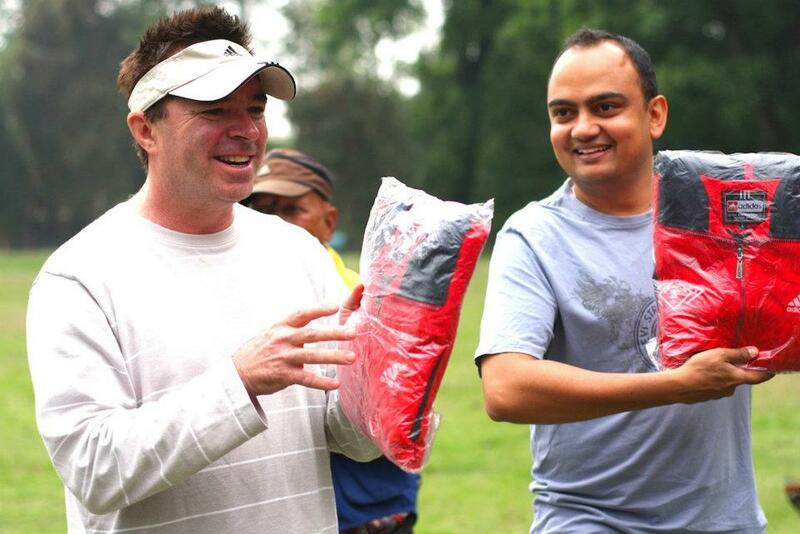 Due to my Nepali roots and thus my frequent visits there I have been involved in many sports initiatives in Nepal. In 2014, I was honored to receive an award for my contribution to Nepali sports from the Non-Resident Nepali Association (NRNA). I regularly deliver sports marketing and development lectures to charities, colleges and sports enthusiasts. At Machhindra FC my primary focus was developing the club's brand and commercial portfolio. In 2013-14 I was appointed Club Director and created the platform for MFC to achieve its highest position ever in Nepal's top level football league. I have always been passionate about grassroots and youth soccer. I periodically conduct football development workshops across the country and donate equipment to deserving clubs and charities. I teamed up with Japanese youth soccer guru Tom Byer and Roots Fashion to organize several youth football clinics and produce a Nepali version of his best selling soccer skills DVD. While at college (circa 1997), I started Nepal’s first sports website – Nepal Football Homepage. I ran the website for nearly eight years and also wrote regularly about Nepali football for various international soccer publications. I continue to share my thoughts on Nepali football here on Rangashala Blog, several prominent newspapers and soccer websites. I am a graduate of Fordham Univerity (Bachelors) and the FIFA Master – coordinated by CIES (Masters). I also studied two years at ABAC in Thailand before transferring to Fordham. Most of my primary and secondary schooling was in the United States. I have created a page about my charitable endeavors and one with links to my favorite Rangashala Blog posts.